Mexico City occupies a territory that has been important in the history of the country since the appearance of man in the region 22,000 years ago (groups of nomadic hunters and gathers). Its boom began with the construction of the capital city Mexico-Tenochtitlan during the Aztec rule in 1325 AD. It was here in the valley of Mexico where the Aztecs saw the prophecy of the eagle on a cactus devouring a snake. After the fall of Tenochtitlan in 1521, the city became the capital of the Viceroyalty of New Spain. 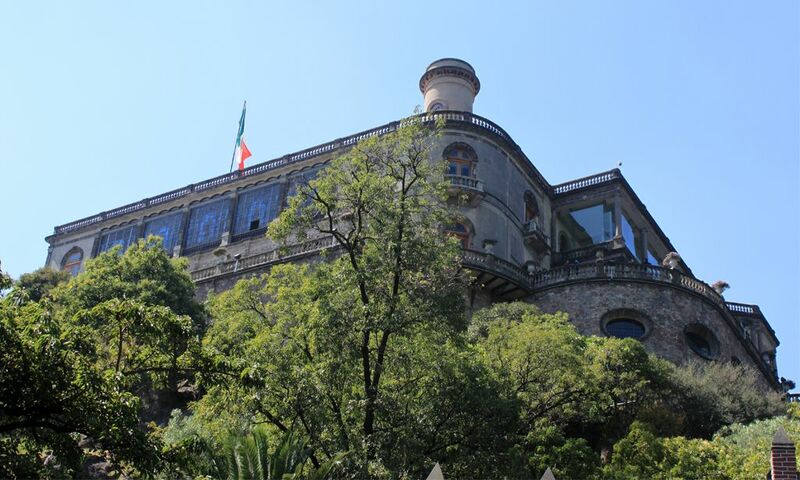 Then, with the arrival of Mexican independence it was designated as a Federal District (D.F.) which would house the powers of the Union. Mexico City tells the story of this country, as it has witnessed the biggest changes in its history. 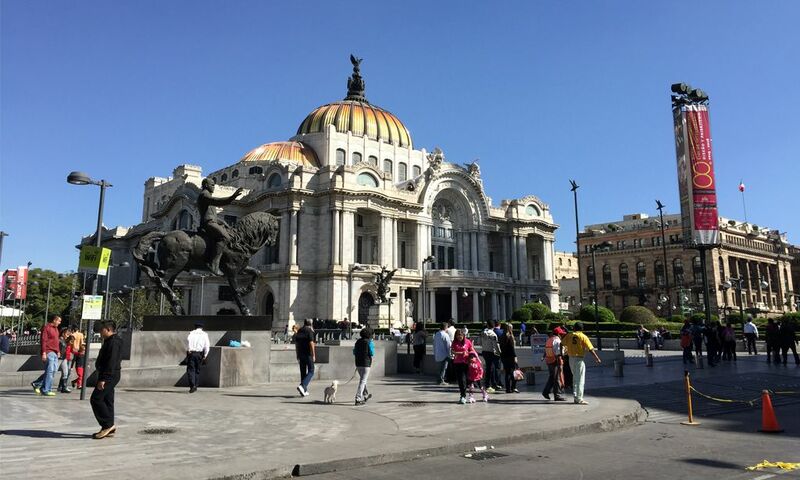 Its streets are a place of Aztec and cultural greatness, as well as showing the influence of the Spanish, and the times of President José de la Cruz Porfirio Díaz Mori which left the city with one of its most beautiful buildings Bellas Artes Palace. The mixture of modern buildings, colonial architecture, and archaeological remains give an air of timelessness because in this, one of the largest cities in the world, the ages meet, mingle and coexist creating a beautiful and unusual urban landscape. Mexico City is also the capital of museums, arts, glamour and is the most important economic center in Mexico and Latin America. Its rich culture can be seen in the streets, museums and neighborhoods. Its geographic location lends itself to stunning natural landscapes with the volcanoes Popocatepetl and Iztaccihuatl, and the Ajusco area where winter weather is seen in the snowy mountains. The D.F. (Federal District) offers visitors a wide range of cultural and entertainment activities worthy of a world class city as well as various public transportation options: the Metro, or subway, the Metrobus and the Turibus offering day and evening tours throughout the city’s historical center. One thing to eat in the D.F. are the famous guajolotas or tortas de tamal (which is a Mexican tamale sandwich), as well as the quesadillas with huitlacoche, the el Tlacoyo (a masa cake) and other dishes, all accompanied by red and green salsa. The city is home to places on the World Heritage list by UNESCO among them is the historical center, Casa Taller Luis Barragán, and UNAM City University. Mexico City has been home to countless visual artists among them are the distinguished muralist Diego Rivera and his wife Frida Kahlo. Mexico City is bordered on the north, east and west by the State of Mexico and to the south by Morelos. Air access to the city is through the Benito Juarez International Airport of Mexico City, which houses two terminals; one for domestic flights and the other for international flights from major cities in Latin America, the U.S., Canada, Europe, Oceania and Asia. The tourist transportation for destinations throughout the country is divided into four terminals: North, South, West, and East, the latter being the largest in the country. Highway access by: Route 57 / 57 D; Querétaro, San Luis Potosí and Monterrey. Route 45 D; León, Aguascalientes and Zacatecas. Route 150 D; Veracruz and Puebla with exits going to Oaxaca and Villahermosa. Route 15 / 15 D; Toluca and Guadalajara. Route 95 D; Cuernavaca and Acapulco. Toluca, State of Mexico: 70 km. Puerto Vallarta, Jalisco: 870 km. Tijuana, Baja California: 2,790 km. Monterrey, Nuevo León: 920 km. Cancún, Quintana Roo: 1,600 km. 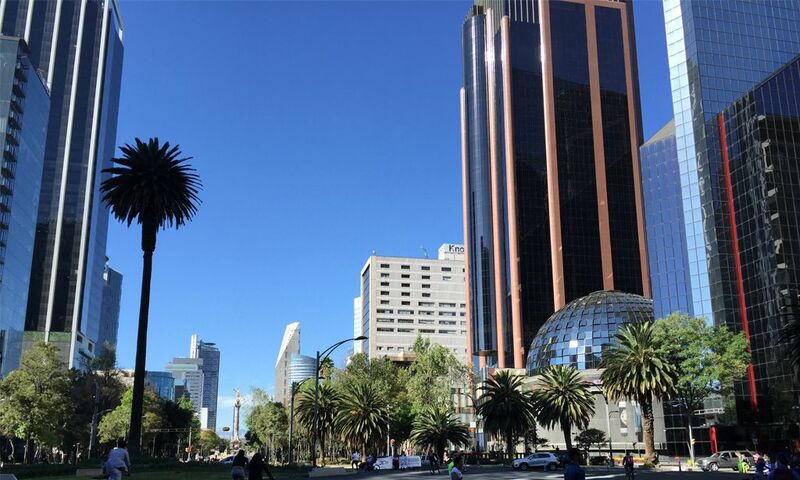 Mexico City is characterized by a sub-humid temperate climate in the center, as well as a dry and semi-dry to the northwest and humid to the southwest. The warmest season happens during the months of March to May when the temperature rises above 25 ° C.
The coldest month is January with a minimum temperature of 5 ° C. The rainy season is during the summer months from June to September. You need to wear comfortable shoes for city tours, as well as, light and comfortable clothes. In the winter you need warm boots and clothing. For the visit to the archaeological sites of Tenochtitlan you must bring: sunscreen, hat, sneakers. Nightlife in Zona Rosa, Polanco, Condesa and the Historical Center. Xochimilco Ecological Reserve, Cerro de la Estrella National Park, Desierto de los Leone, National Park Cumbres del Ajusco, National Park Sierra de Guadalupe.